Dustin Duncan, Saskatchewan environment ministrer. Screenshot from the CBC. Saskatchewan, in Canada's prairies, relies on coal to fire up more than half of its electricity plants. This means that the province is struggling to comply with the federal environment ministry's plans to phase out the black mineral. Officials in Regina seem to want incentives, though. 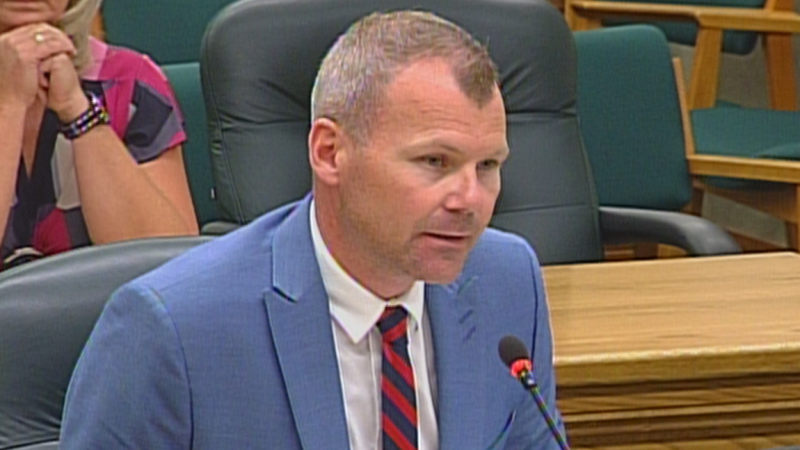 This is why this week the local environment minister, Dustin Duncan, said he would like his federal counterpart, Catherine McKenna, to let Saskatchewan get credit for the carbon capture and storage system it has on one coal-fired power plant to offset the emissions from continuing to use at least one other plant without such a system after 2030. Duncan told the Canadian Press that several plants in the province would have to be retrofitted before 2030 to keep them operating, but there is one that won't hit its 50-year lifespan until 2042. "My expectation is and certainly my interest is that the equivalency agreement, the wording, will be agreed to by the federal minister shortly, in the next couple of weeks," he said to the news agency. Saskatchewan's proposal, however, would go countercurrent to McKenna's plan to never use coal again as fuel for power generation from 2030 onwards, an initiative that she launched this week in partnership with the United Kingdom at the 2017 United Nations climate change talks in Bonn, Germany. According to the Canadian minister, more economic opportunities would arise by switching from coal to less polluting technologies: “Coal is not coming back. The economic case is clear. The price of solar and wind has plummeted. Clean power is also increasingly the cheapest power,” she said.